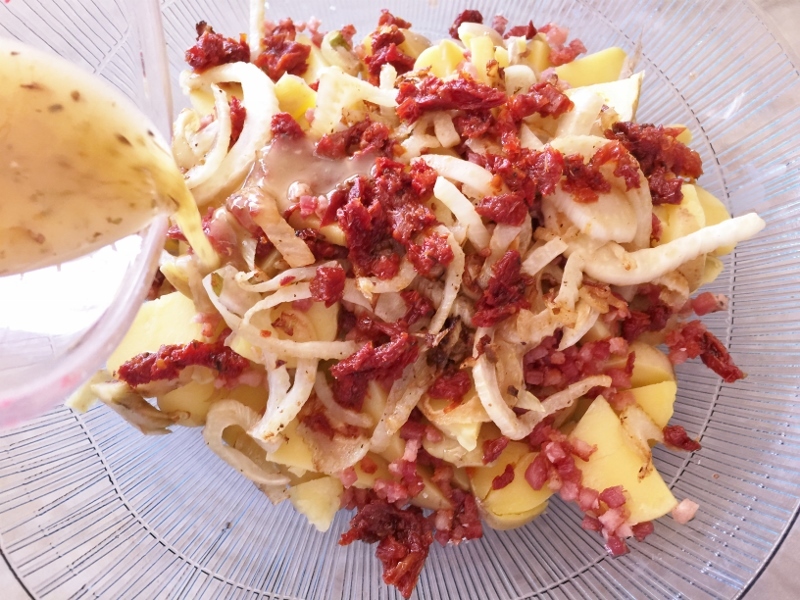 Italian Potato Salad - Recipe! - Live. Love. Laugh. Food. When you think of the most popular side dish of the summer, it is probably potato salad. Potato Salad can come in many different varieties whether it is ladened with mayonnaise, or tossed in a light vinaigrette – people really love it. 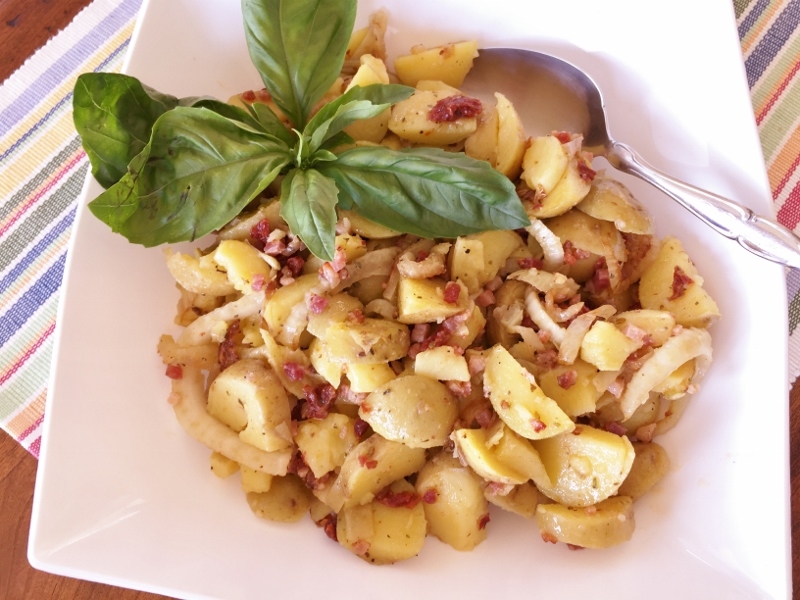 Growing up, we ate German Potato Salad because of our German heritage. I remember thinking why are we eating a warm potato salad with bacon, when most potato salads are cool and creamy? But, after one bite I realized I was lucky to be enjoying such a treat, and how nicely it paired with the grilled sausages my family prepared. 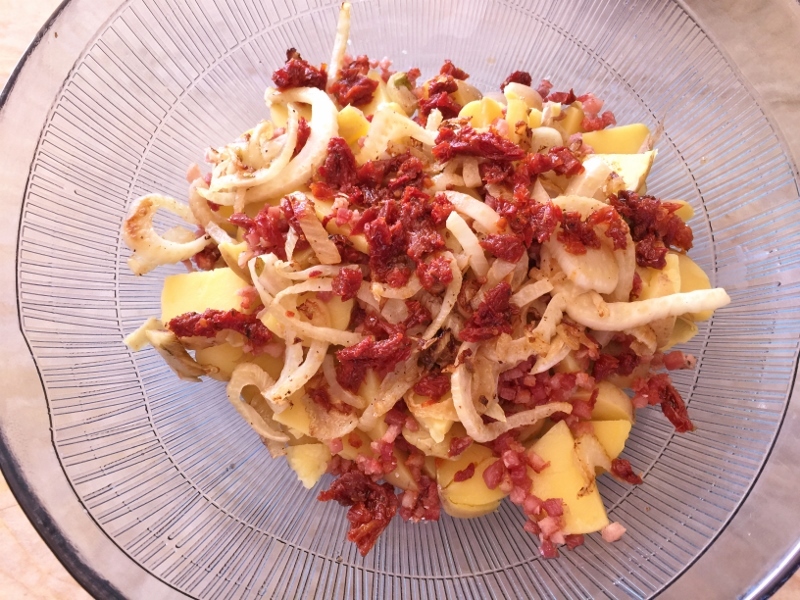 I think you should make potato salad with flavors you adore such as; crispy pancetta, caramelized fennel and sun dried tomatoes. Why stick to tradition all the time when you can step outside the box, it just makes delicious sense. These flavors in this recipe are comforting like a pizza pie right out of the oven – warm, creamy with a hint of tang. 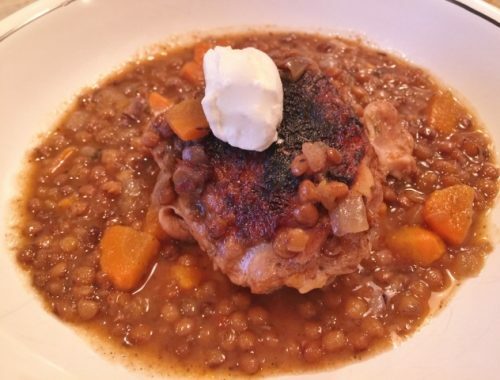 You can serve it with grilled meat, chicken or fish and it tastes great at room temperature. Summer without potato salad is like summer without ice cream, but don’t get me started on ice cream, just yet. 1. 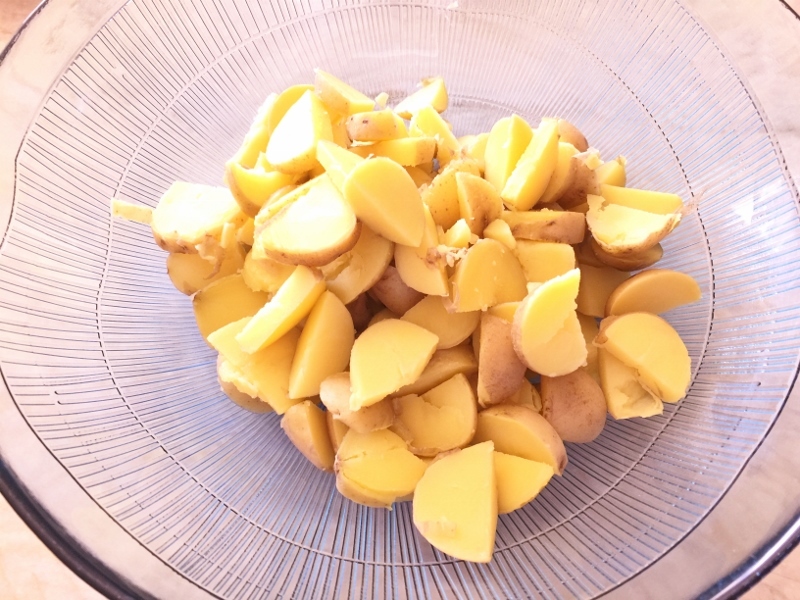 Place potatoes in pot with cold water to cover, add 1 tablespoon salt. Boil until fork tender, about 20 minutes, drain and cool. 2. Slice potatoes in half and then, into half moon shapes. Place potatoes in a bowl. 3. 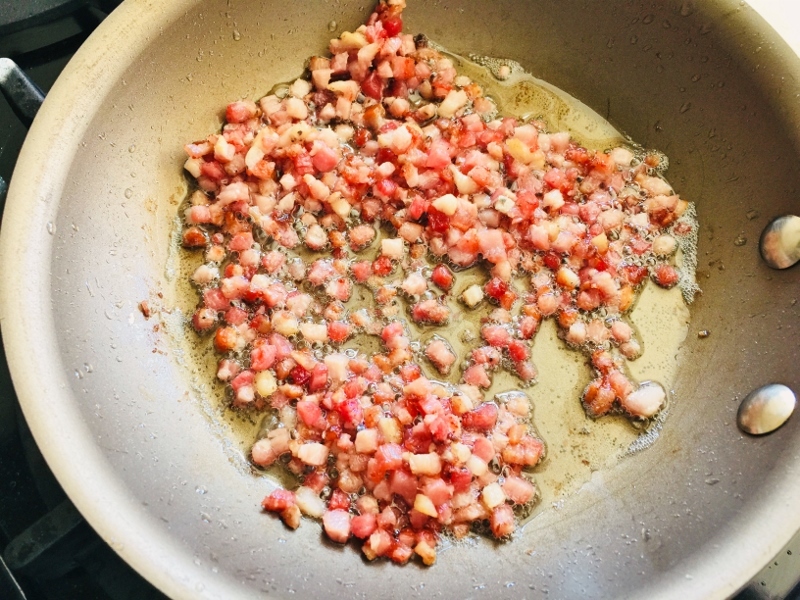 Cook pancetta in a saute pan until crispy, about 4 minutes. Pour over potatoes, including fat rendered from pancetta. 4. Slice fennel bulb in half and remove core, then slice. 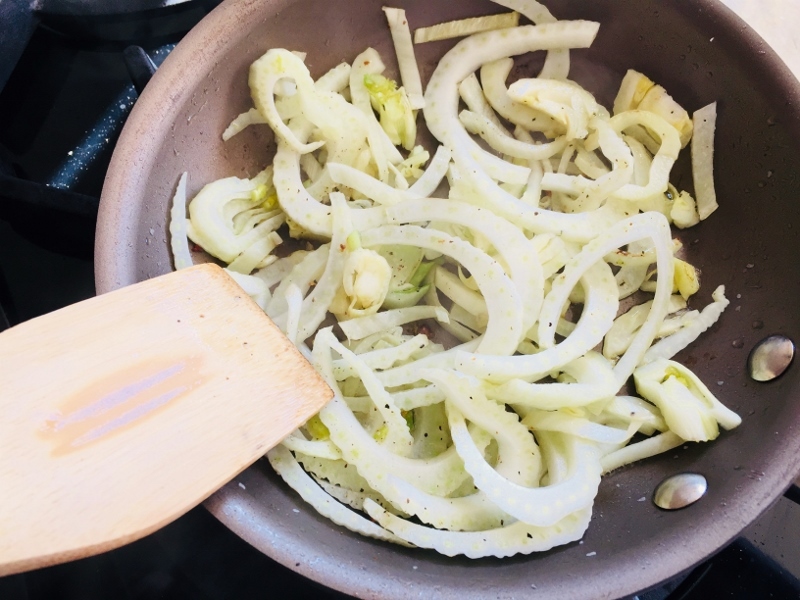 Saute fennel for 8 minutes (cook in same pan as pancetta), or until softened and golden brown. Add to potatoes, along with minced sun dried tomatoes. 5. Whisk vinaigrette ingredients together and pour over potatoes, toss to coat. Add basil on top and serve. Enjoy! 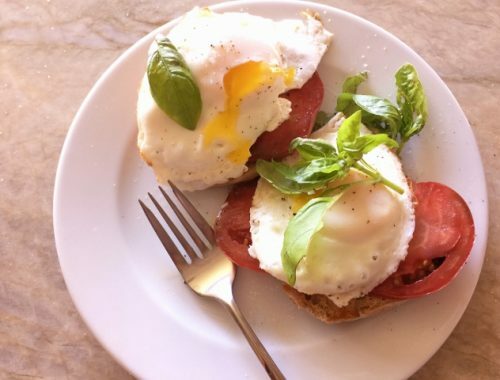 Heirloom Tomato & Basil Egg Tartines – Recipe! 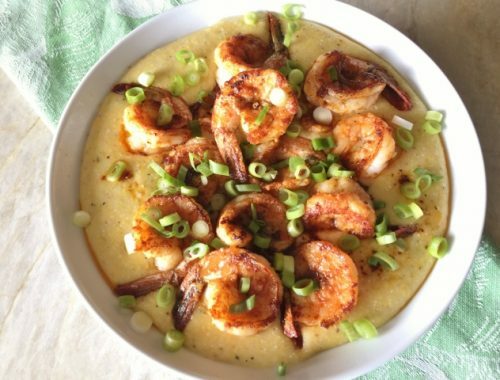 Shrimp & Green Garlic Grits – Recipe!